One of my goals this year was to try new recipes. I didn't really put a number on it or anything, but I've been doing really well so far and I wanted to share some of them in case you're looking for some new recipes. Also, I'll just go ahead and say I am incapable of following a recipe perfectly, so there's that. Chicken fried rice. Let's be real, nothing tastes as good as the take out stuff, no matter what the reviews say. I like my fried rice greasy and delicious, okay? But I also like my heart beating, so I don't mind a somewhat healthier version (meaning I at least know what is in this one). This was very easy, relatively quick and tasty. Can't believe I've never made fried rice before! I added sesame oil and veggies. 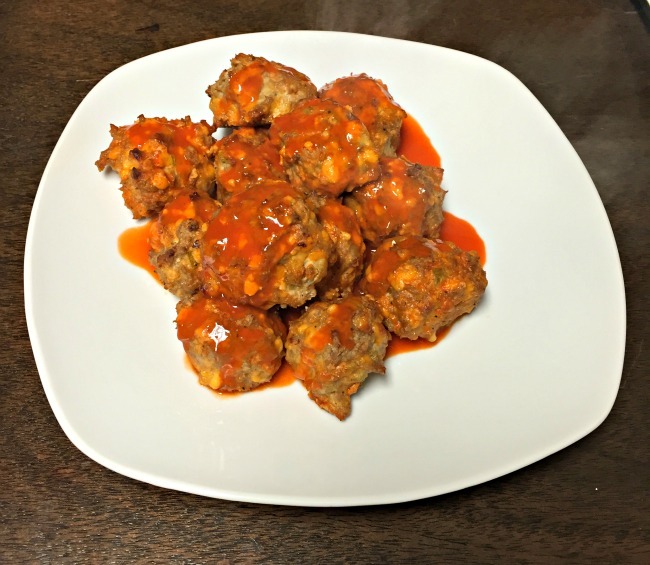 Turkey buffalo balls. I made these for KC's lunch because I knew they'd be too spicy for me, but I actually had a bite and it wasn't bad at all. I made them bigger than she made hers, I added some bread crumbs and used cheddar instead of blue cheese, per KC's request. Mine look absolutely nothing like hers, but KC loved them so high five. Chicken Shawarma. I made this for one of our new Sunday meals, KC had his with salad in a pita pocket and I had mine on corn tortillas. Unfortunately, this was a bummer meal, it didn't turn out as amazing as I hoped. I'm sure it was me and not the recipe though because I've never had a bad recipe from Budget Bytes. So don't let that discourage you, because hers looks amazing. Goulash. I think my mum made something similar growing up - I'm sure lots of people did, basically just pasta + meat + tomatoes. It was really tasty, I really enjoyed it and it was so easy. I made it with a new GF pasta I found in Trader Joes - it was 'penne' but it definitely was not penne, but that's okay because I wanted more like macaroni anyway. I was so shocked that it worked in the 'one pot' meal though, I've never tried GF pasta in a one pot meal. I'll definitely be making this again. Something I want to note, for those trying to get more veggies, I added 2 zucchinis that I had grated. You can barely see them, and you could hardly taste them. I'll definitely be doing that again. Quinoa pizza crust. This was good. It wasn't oh my gosh this is better than real pizza good, but it was good. It was surprisingly easy as well, I kept waiting for it to like blow up in the oven, or not cook properly because surely I did something wrong.. but nope, easy as pie. Or pizza. 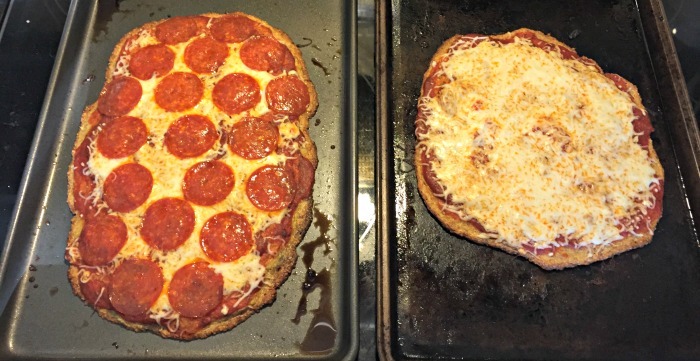 But I will say next time, I'll make smaller ones, as the centre was a little soft and that's when you really noticed you weren't eating papa johns. Avocado, chicken & chickpeas. This is a recipe I kind of made up myself based on two others (chickpeas and chicken). I am not a recipe sharer (or even creator) and I have a post in my drafts but I am not sure if I should share it or not, if anyone would even be interested. KC loves this and so do I - but I have it without chicken. The avo fills you right up, which is great. Spinach & Feta stuffed chicken - I also sprinkled some bread crumbs on either side. Beef & Broccoli. Oh my word, this was amazing. We've had this at least 5 times and it's just as good every time. We serve it over rice, but something happens once it's served (we inhale it) and I never take a photo of it... so here's a photo of it cooking. Corn, chickpeas, tuna & mayo - another one I kind of made up myself and I know it sounds super weird... and doesn't look the best. But if you like those ingredients, you might like this, and maybe there is a weirdo out there like me! I keep meaning to try avo instead of mayo, but I use such little mayo I couldn't be bothered. Basically I take 1 can of each (oh the horror! cans!) 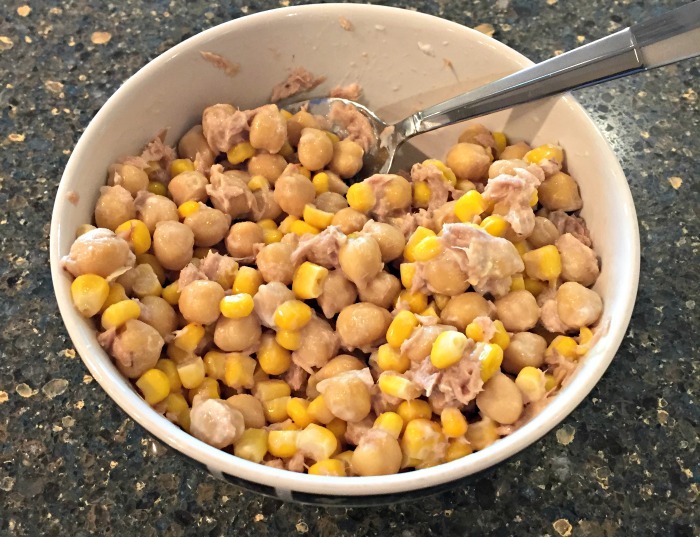 corn, chickpeas and tuna. I rinse and drain the corn and chickpeas, drain the tuna. Mix it all up, divide into two containers. One goes in the fridge for the next day, the other goes in the microwave for like 2 minutes. Then I add a small dollop of mayo and mix it all up. The mayo kind of coats everything, but it doesn't taste like mayo (but I don't have a heart attack when someone mentions mayo, so maybe that's why). This was something I just threw together one day back in the apartment based on what was in my pantry, and I'm still eating it a few years later. 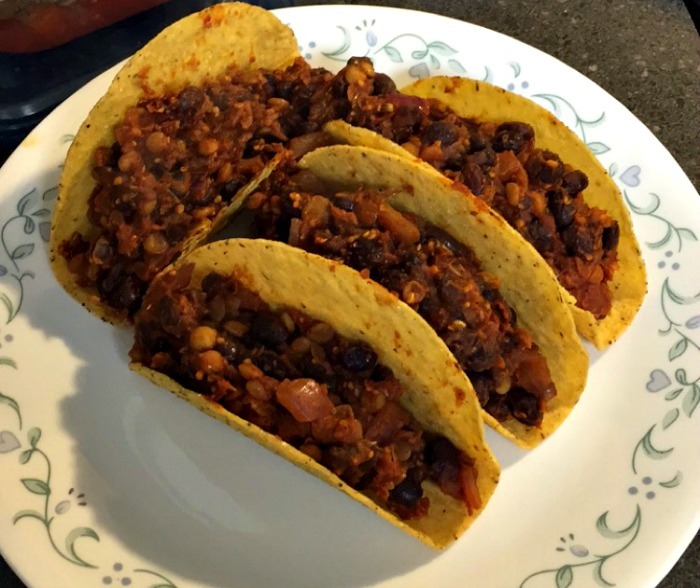 Black bean & lentil tacos - I didn't really follow a recipe for this one, just kind of winged it, but I did use the one linked for inspiration. These were really tasty, but KC had 5 and I had 4 - way too many! Next time, we will have these as a main, with something else as a side - which we never do with tacos, but it's necessary with these. It was just too much of the lentils/black beans, we both had stomachaches the next day. But not in a bad food poisoning way, in a 'you ate too many beans and lentils' way. I added cheese after I took the photo, not sure why I didn't do the cheese and then photo, but whatever. Of course I added cheese! They are tacos! Black bean burgers - saving the best for last. This is not a new recipe, I think I've talked about this before, but it is seriously one of our favourites. It is quite easy but it's time consuming. I'm a complete and utter novice in the kitchen, so when I say it is easy I really mean it. I do let the mix sit a little bit so that it forms patties easier, and I use oats instead of bread crumbs (I just put them in the food processor first, separately) but seriously these are SO tasty. KC goes through phases where he wants to eat less meat, but even when he's in a super meaty phase, he loves these, and so do I. I reckon these are the best black bean burgers in the world, and okay, they are the only ones I have ever made but why should I go looking for more when these are as amazing as they are?! I know this seems a bit of an odd/boring post, but I love to see what people are eating, seriously. I'm not a good cook, I'll never 'create' a recipe, but I will mash a few together. I do love sharing what I've made and seeing what other people are eating. Hint. Just kidding. I really am always on the lookout for simple - legit, actual, really simple - recipes. Any recipes you think a novice like me should try? I don't think it's an odd or boring post at all! You know I love finding new recipes to try! And I leaned what Goulash is because I never really knew before (it always sounds like something that Pirates eat out of their boots or something lol). Look at you cheffy! I'll be adding some of these recipes into my to-try list asap. 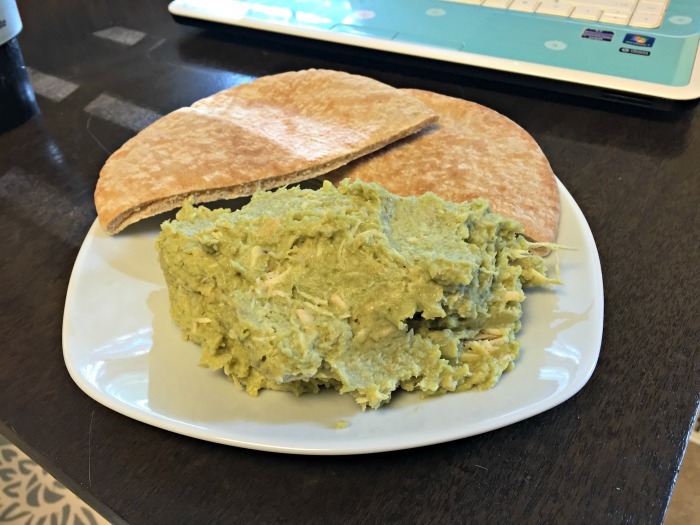 I, for one, would love to see your avo, chickpeas, chicken recipe -- share, share! That beef & broccoli over rice looks amaaaazing. We have a version of that recipe that we cook in a crockpot that I keep meaning to blog about but I always forget to take pictures because I'm too busy eating it! Oops. I love making chickpea salad. I want to try avocado in it but sadly I am the only one who eats it, and avocado doesn't fair well the next day. You would think as a vegetarian I would love black bean burgers, and I do like them but am rarely in the mood. I am going to check that one out, though. Those black bean and lentil tacos sound awesome. I could eat tacos daily. My favorite are either black bean and rice or tempeh. You know I love trying new recipes so thanks for all of the ideas! 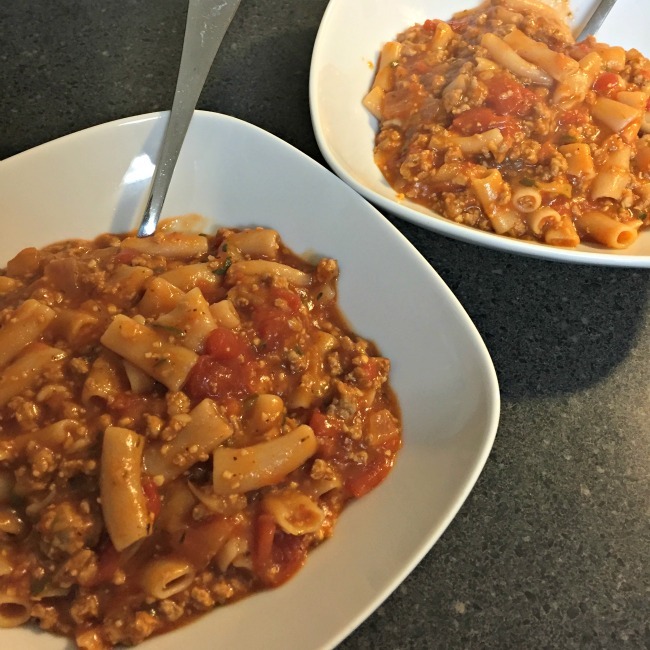 I never knew goulash had pasta in it..I wonder if German goulash is different because every time I've had it there was no pasta. Either way I love the flavors! I need new ideas for meals - these look pretty good! Well, not sure about the corn-tuna-chickpea combo, but I eat odd combos too so I'm not judging you. :) I'll definitely try out the black bean burger -- looks delicious! NOT odd/boring as a post. Really good idea to add grated zucchini to the goulash. I pinned that and hope to remember your trick. Not odd or boring! 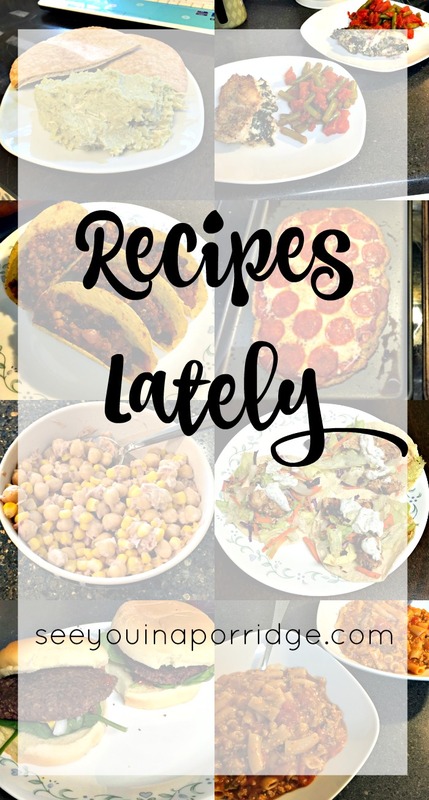 I love finding new recipes since I cannot "wing" or "create" anything in the kitchen, and Budget Bytes in particular always has great easy recipes! I have a few pics in my phone of me making food, but I keep forgetting the finished product pic because by the time I'm done cooking all I can think of is eating it lol. I made a tuna noodle casserole that originated from my college days that I still love too! Question: did you need a wok for the fried rice or chicken/broccoli dishes? I've been debating getting one but not sure if it's really necessary. Yummy! These are some quality food pics! I like all the Asian-ish inspired dishes and the stuffed chicken! We'll have to try some of these! I am going to save this so I can try some of these recipes! They all look so delicious! Look at you Ms. Julia Child!!! I just started Blue Apron & my first box comes in this weekend & I CANT WAIT!!!! Your chicken fried rice looks sooo good! I tried making it once and it was so gross I couldn't eat it, so I don't know if I'm brave enough to try again, haha. I'm a new found quinoa lover, so I'm definitely going to check out that crust, especially if it's easy! 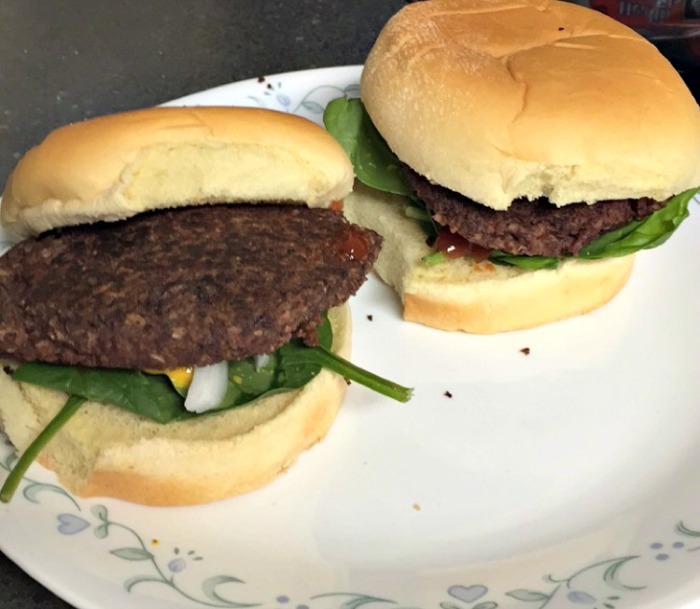 You've encouraged me to start making those black bean burgers again-- sooo good! I love the Morningstar indian spice patties (I think they're chickpea?) but they're almost $6 and I can rarely justify spending so much on just four, but they're so convenient-- so I should just make these and get a much better bang for my buck! Also, forgot to add I have a box of gluten free pasta that I've never used-- I haven't been eating pasta much lately, but using it in a one pot dish might be a good way to try it out! The beef & broccoli looks so good! And the spinach & feta stuffed chicken. AND the fried rice. Adding grated zucchini is a great trick, I'm going to try that! I hardly ever follow a recipe exactly either... They are more like rough guidelines to me! All of this looks so yummy! Those turkey buffalo meatballs sound amazing! I love anything with buffalo sauce. And I agree, no fried rice will ever be as good as the take out stuff but the healthier option sounds good! Oh my all of this stuff looks so good! Look at you trying new things. 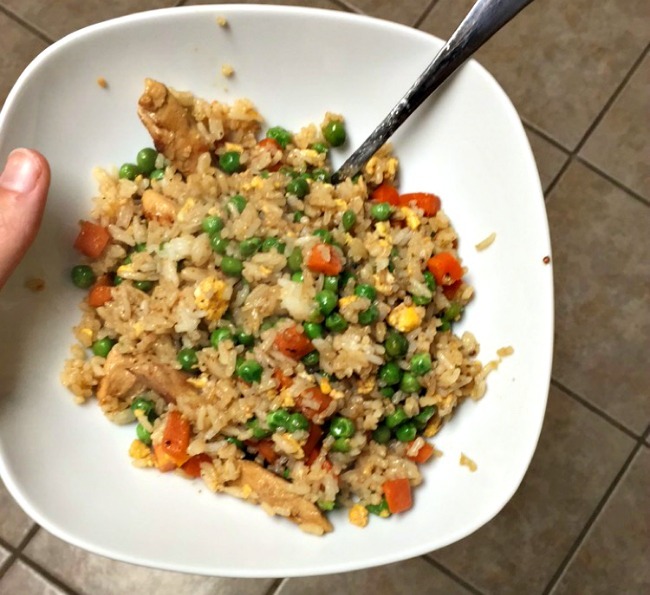 I really love making fried rice at home, certainly one of my favorites! Those tacos sound interesting!!! I have a similar buffalo meatball recipe that I make. The beef & broccoli looks amazing & bet it would be delicious with a side of the fried rice. Honestly. I keep it SUUUPER simple. Like, I'm actually a really good cook, I just hate to make a mess on weeknights, so I make a lot of things I can prep ahead of time or that can cook in the crockpot. It's the wrong time of year for this, but I love hearty soups & stews & the like. You've been killing it with the new recipes! These sound and look delicious - especially the pasta! One of the things that I always struggle with is finding new recipes to try out because I typically just stick with what I know. It sounds like you found quite a few new and delicious recipes this month! One of the things that we've loved a lot recently is zoodles! I never really liked zucchini growing up, but it's actually really good! These look awesome. I'm really trying to eat less meat at the moment so I'll be trying the bean burgers for sure. Although having said that, that beef and broccoli looks really good, so... And yes please do share the avocado, chicken and chickpeas recipe! I love recipe posts because I am nosy, and I also like inspiration from real people. Saving this entire post! So many yummy options. I think its funny that so many people don't follow recipes down to every detail because I'm such a newb in the kitchen I feel like I have to follow them to a T!!! And you say you can't cook! PFFFTTTT! Girrrl, these all look so good! Look at you, so healthy! And these are some of my favorite posts! I love to see what other people are actually eating and get/steal ideas ;) Definitely going to try that beef + broccoli, it sounds so good! I like seeing what recipes actually work. Pinterest has woven such a web of lies. That's why I used to write about things I tried; half the stuff looks pretty but doesn't taste good or come out right. I've been trying to eat healthier, but I still obviously crave my comfort foods. I had heard of using quinoa in substitute for lots of things, but never pizza! I may have to give that a shot. Look at you go! So many good (and new) recipes! You had me at fried rice. Now I'll be craving that. And it's not even 7am. Lol. :) I'm really terrible about trying new recipes because I'm so picky! So I always feel like I'm making the same things on repeat and then I get reaaaally bored with cooking. I need to try that beef and broccoli recipe. I mean if you can't get a pic of it on a plate because you're too busy eating...that's my kind of recipe! Also, the chickpea and tuna thing looks good. I'm always trying to find ways to eat canned tuna besides tuna sandwiches. Thanks for sharing these!! Ooh need to try that beef and broccoli recipe. LOL, this is neither an odd nor boring post! I agree - it's interesting to see what people eat/make/enjoy. You have definitely been a busy bee in the cooking department and I'm glad a few worked out for you. 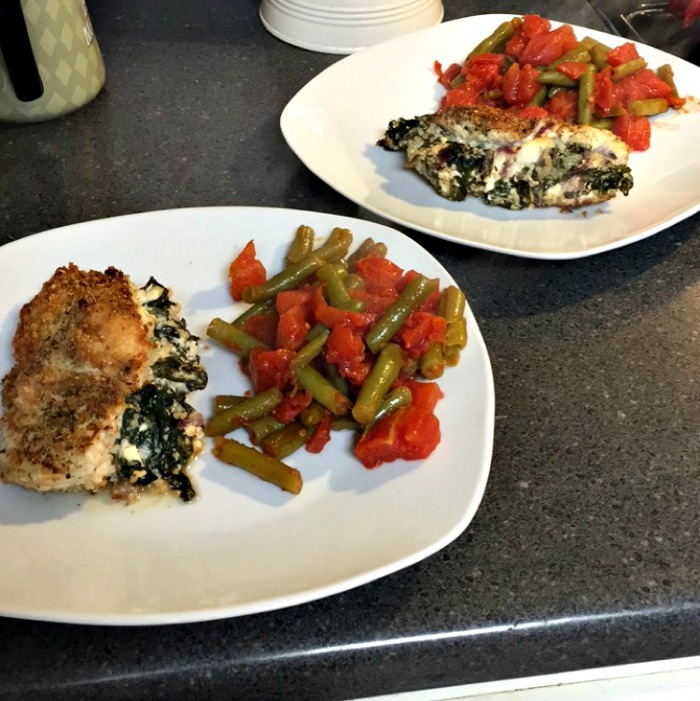 The spinach feta chicken sounds delish! I'll have to peek through my recipes and see if there's anything that I think would appeal to you. But my recipes are very American so I'm not sure. LOL. Okay this is probably gross, but I'm an oversharer. I made fried rice at home ONE time, and it came out amazing. Tasted so good, was pretty easy to make. That night I was up from 2am to 4am throwing up non-stop and I have not had a bite of fried rice since. I just can't. It's been like...2 years? Anyway. That's my sad story about fried rice. Did you say avocado and chickpeas though? Because I want to be there. These are such good ideas and some of them look REALLY tasty. Thanks for sharing! 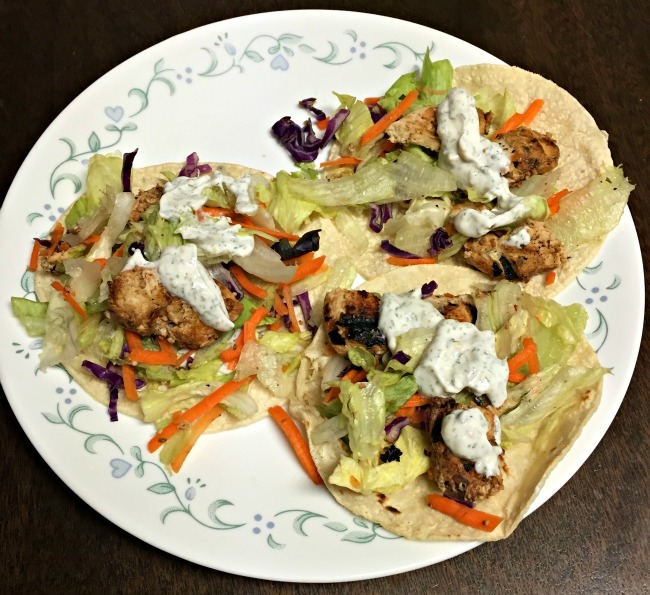 That Chicken Shawarma (and how fun to say!) looks delicious! These all look like they turned out really well! The beef and broccoli looks out of this world! I love chicken shawarma, but I've never made my own. Must change that! I love when you/people do these posts because I always need motivation and inspiration in the cooking department! I can't wait to try some of these - the pesto stuffed chicken looks delish. Oh that beef and broccoli look so good. I love me some chicken fried rice. I never thought to try and make it at home. haha It probably won't come out very good. To be honest, I'm not a very good cook. Heck, I can't even make toast properly. I always burn it. always. Please share your recipe you have in your drafts! Definitely something I would love to make myself. And the chickpea, corn and turn sounds so interesting - I bet it's really good! We are always looking for new recipes so I'll definitely be saving this post! And they look pretty healthy, which is a huge plus! In a "you ate too many beans and lentils" kinda way... HAHAHAHA, oh I know that kind of way! That's actually a great idea for tacos, I'm going to be checking that recipe out! 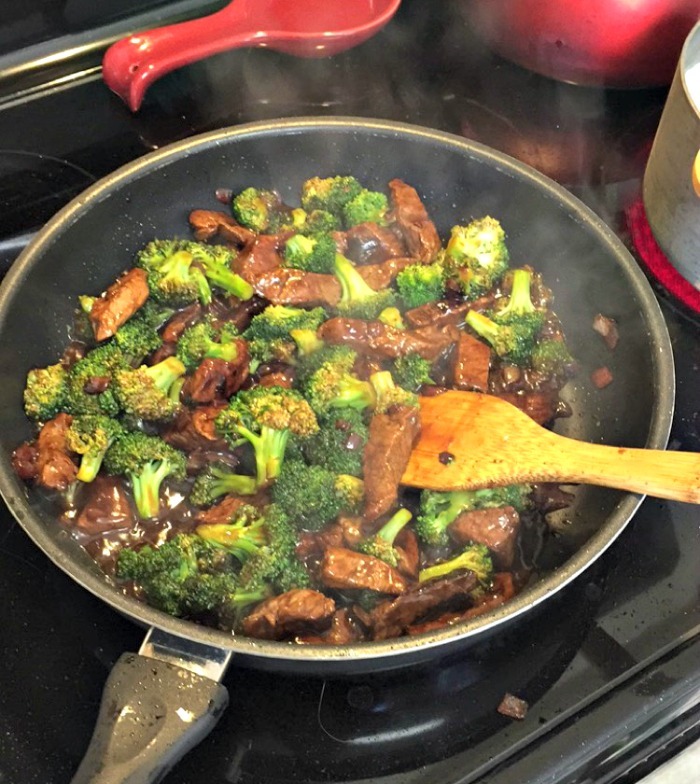 I'm totally trying that beef and broccoli recipe - looks so good!